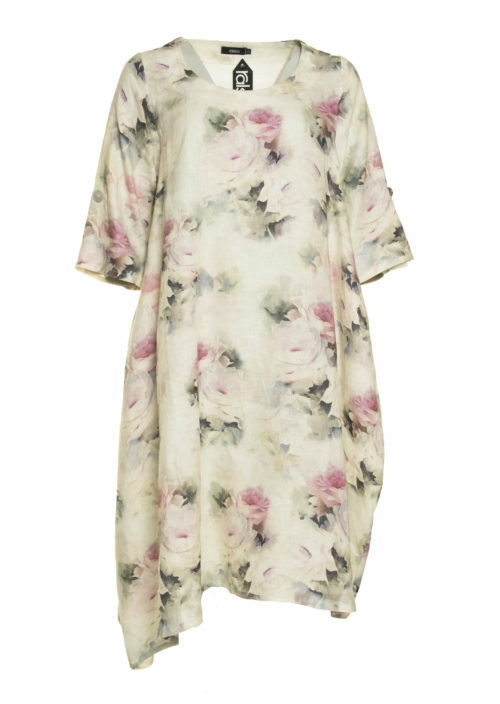 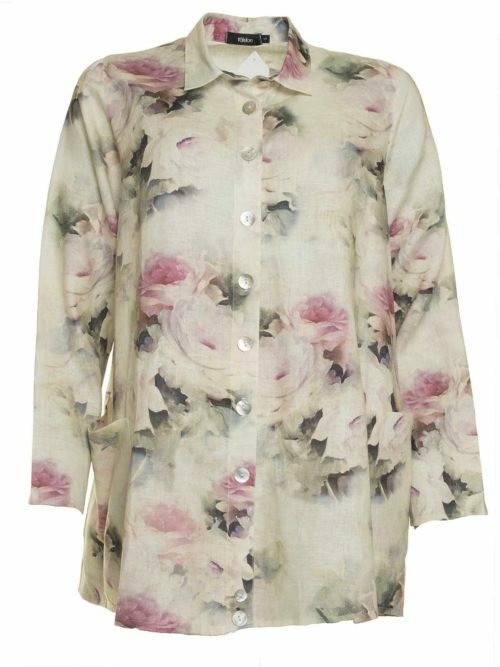 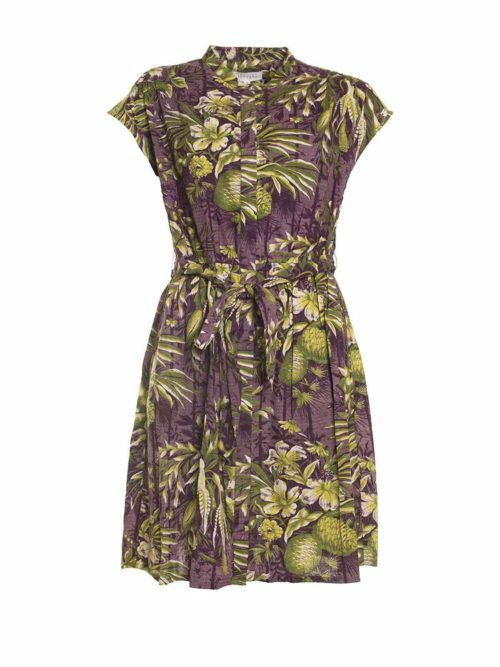 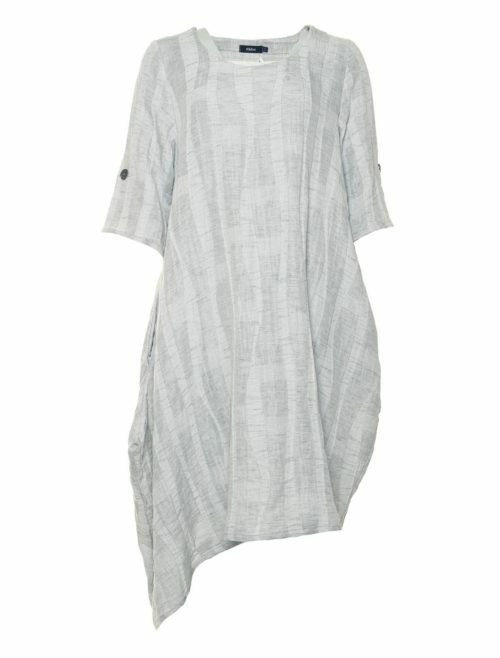 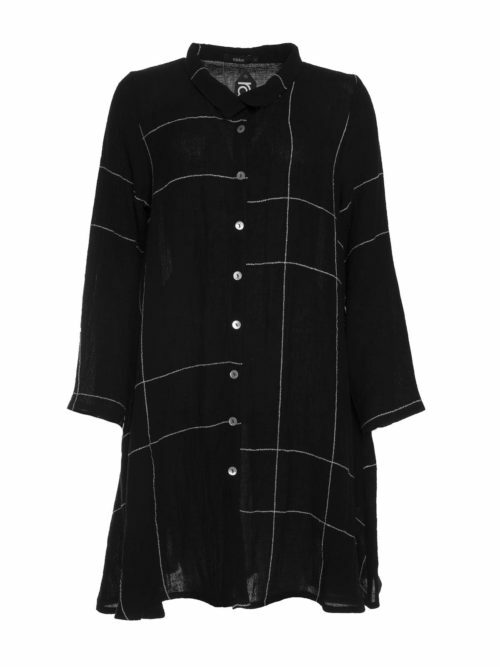 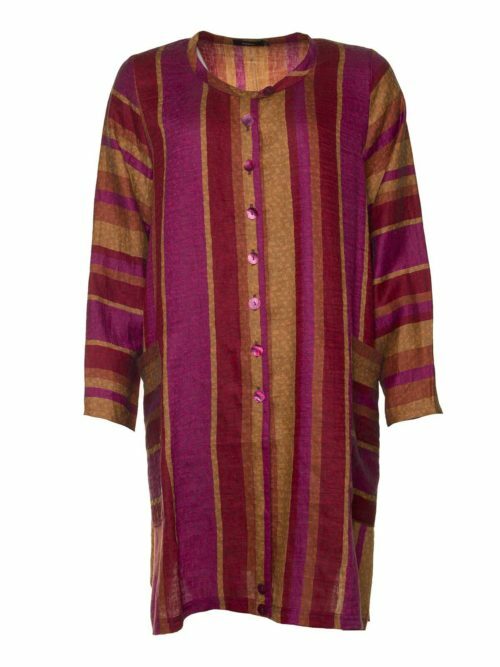 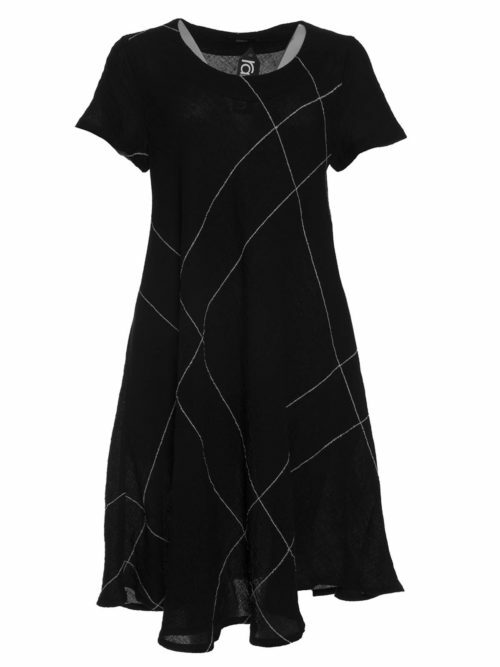 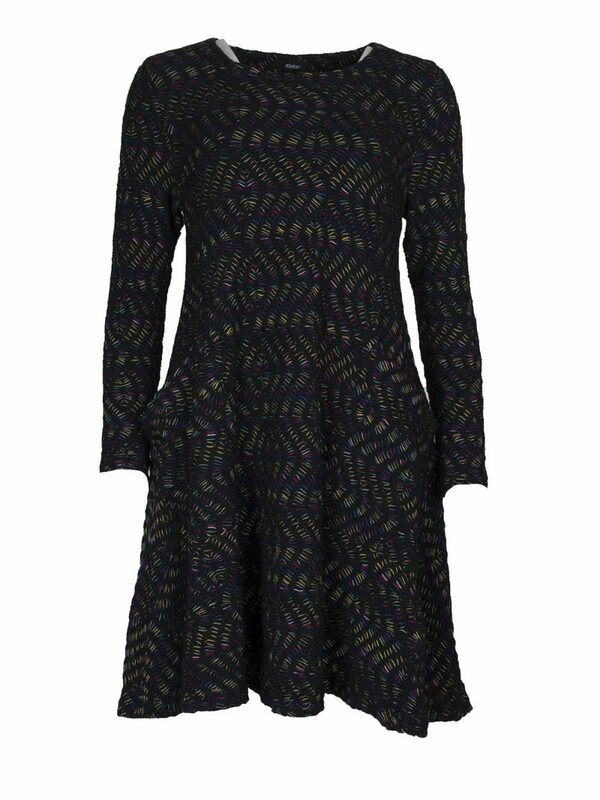 Ralston Stara Tunic dress in black and multi colours. 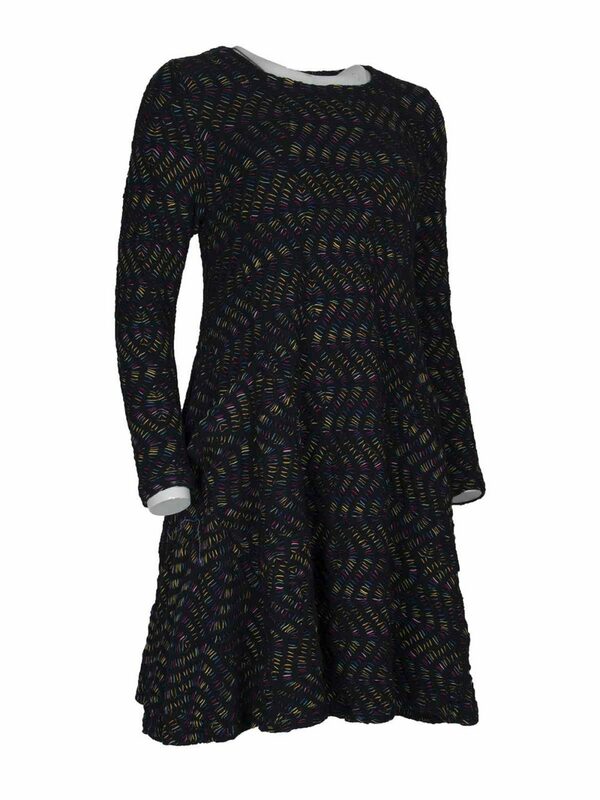 A short-style textured dress, full skirt, full length sleeves and a fitted look. 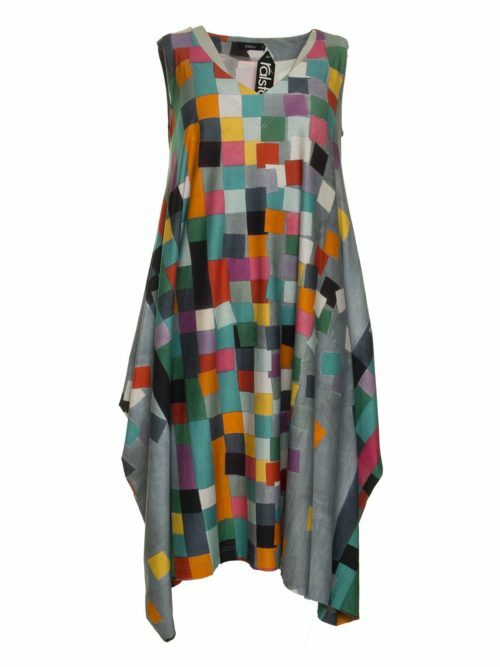 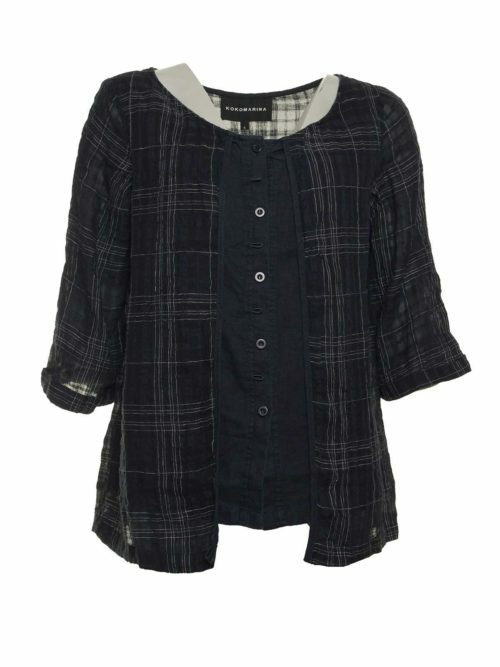 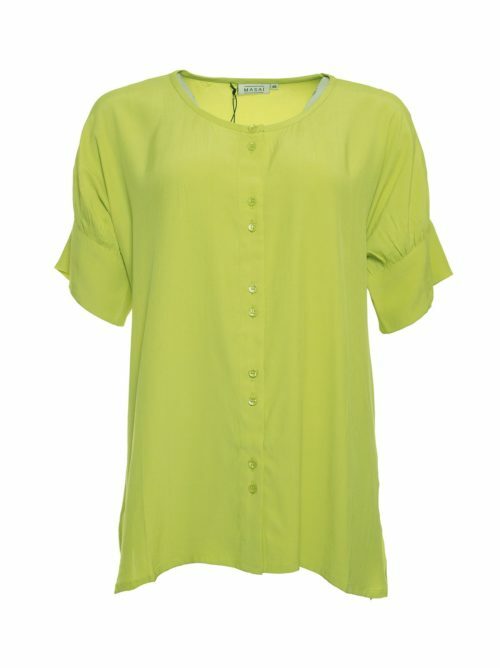 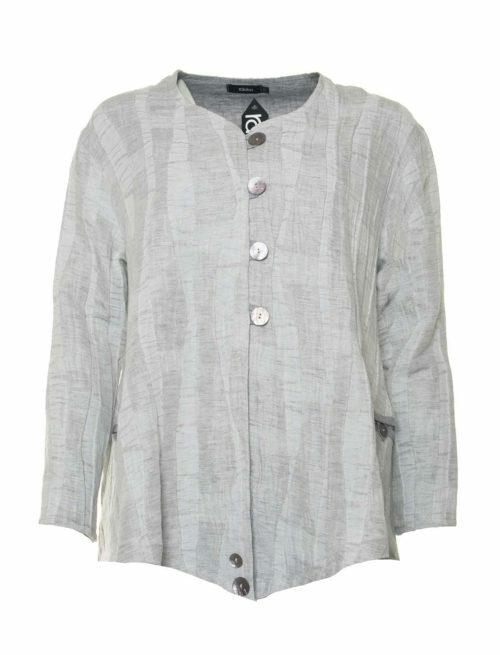 Katie Kerr Ralston Stara Tunic in black with multi colours. 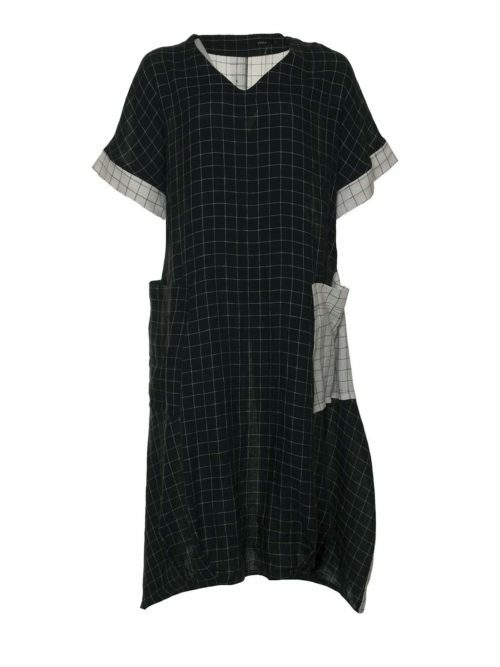 Round necked A line shape dress with patch pockets cut on the diagonal. 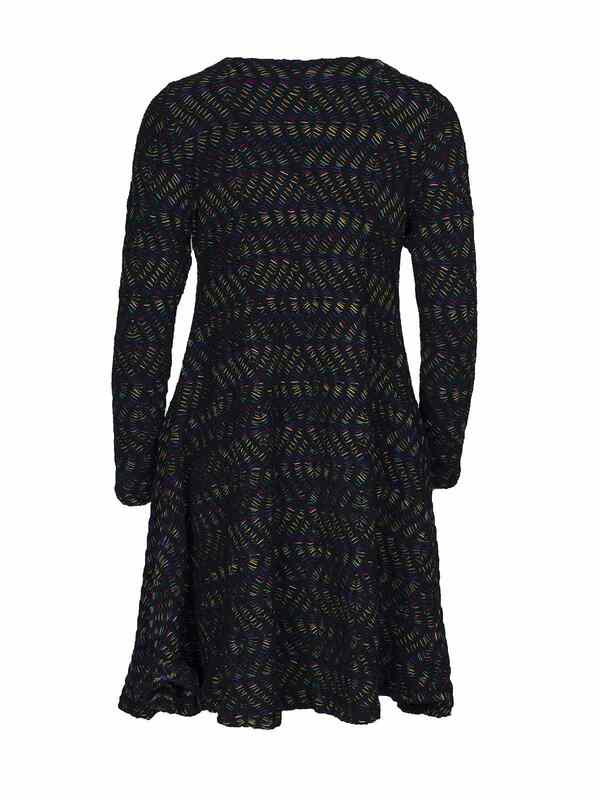 This short style textured dress has a full skirt which gives a lovely shape. 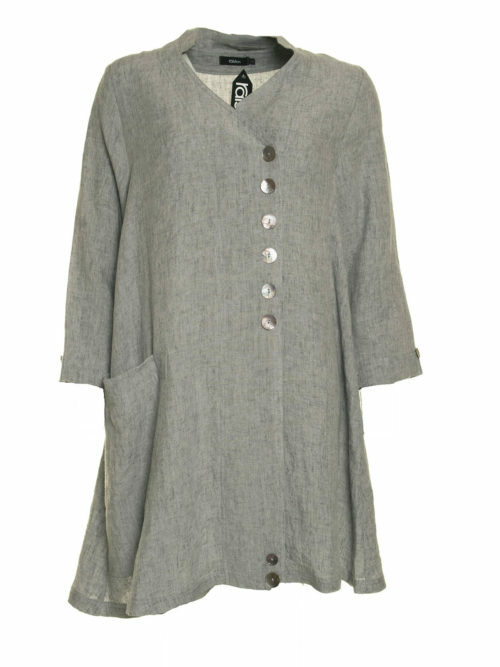 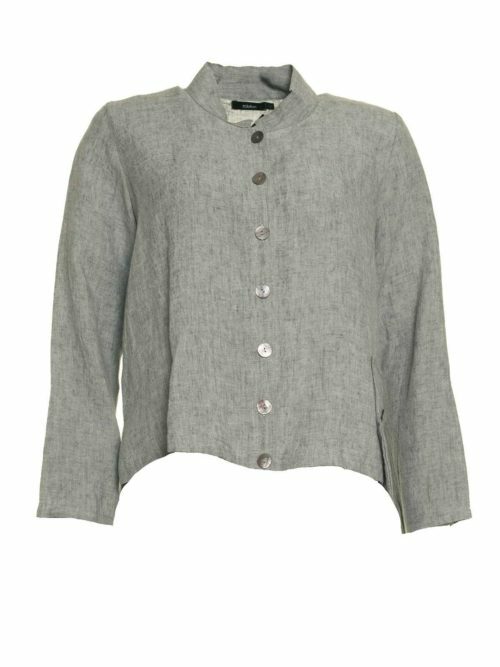 The sleeves are full length and the body is more fitted. 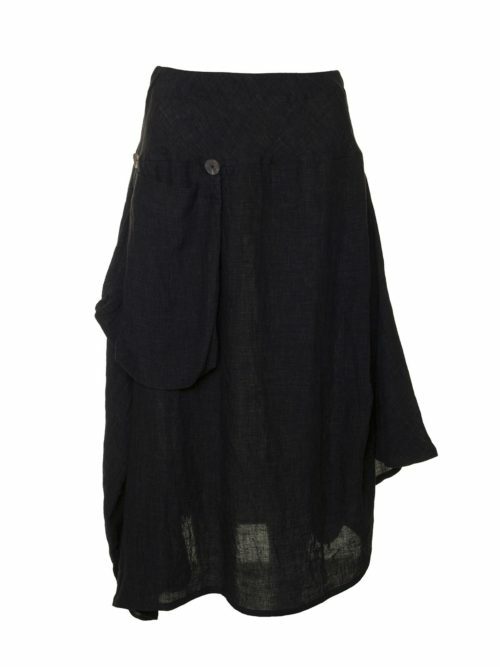 The whole look can be lengthened worn with the Effie skirt for a very modern and quirky style.